Week one of the NFL season is on the way and most fantasy teams are drafted. For some people that may not be a positive, but help is here. If your running backs leave something to be desired, check the waiver wire for one of my recommendations. Keep up with breaking news and player performances and a bad draft can be made up for quickly. Having two former Pro Bowlers ahead of you on the depth chart is not easy to overcome. Luckily for Kamara he has a diverse skill set and is in a creative offense. Kamara has the ability to be a three down back; he probably will be someday. For the moment, he will have to content himself with some leftovers. He will probably get a couple of carries per game. The appeal here is Kamara catching the ball from Drew Brees though. This is a much better pickup for PPR leagues, but he may be a matchup reliant flex option. Smallwood is worth a pickup, at least until the backfield touches shake out in Philly. The Eagles picked up LeGarrette Blount in the offseason and everyone immediately decided that he would score 20 touchdowns. He is still likely to be the goal line back, but he may not see a lot of carries beyond that role. Smallwood is almost guaranteed a decent role in this offense, although Darren Sproles factors in as well. Only game action will really show how the Eagles backs will all be deployed. For the moment, Smallwood is certainly worth stashing at the bottom of your bench. If he gets the lion’s share of carries, he could have some real value going forward. Eddie Lacy looks like the Seahawks version of LeGarrette Blount. He looked slow and indecisive in preseason action and may have run himself out of a job. Carson on the other hand, shredded defenses. Even if they were preseason defenses, he certainly caught the eyes of his coaches. 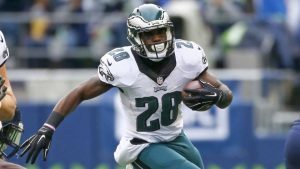 The running back situation in Seattle is a fluid one, but I could see Carson starting at some point. For now he is a deep pull, but in a couple of weeks he could be a difference maker. This may not seem too appealing since it looks like the Colts will be awful this year. Remember that the Bears stunk in 2016 and Jordan Howard won fantasy leagues for a lot of people though. Mack looks fast and decisive in his cuts, at least based on limited opportunities to watch him. Frank Gore is going to turn into a pumpkin sooner rather than later and Robert Turbin is a career backup. At some point this season it is going to be Marlon Mack’s time and he will impress. This may be a pick for leagues with a deep bench, but I think that Mack will be worth the wait. 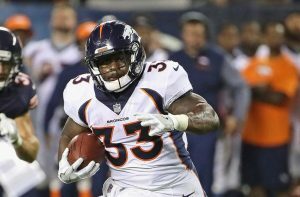 The Broncos list C.J. Anderson as their start and have former great Jamaal Charles on the roster too. Henderson seems destined to be consigned to the bench, but don’t be blinded by star power. Anderson has been less than stellar for two season now. Charles looked great in the preseason, but he is getting old and never stays healthy. Devontae Booker is around as well, but he has the skill set of a backup. Henderson is fast and very exciting. At the moment he is in the doghouse because of late preseason fumbles. All it will take is a couple of explosive plays for him to get back in the coach’s favor. It may take a few weeks, but I like Henderson’s chances to make a big impact in 2017. There are lots of difference makers available on the waiver wire right now. Be sure to move quickly, because the ones that blow up are going to get snatched right away. 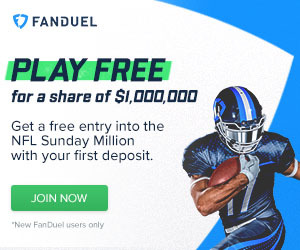 Pick out your favorite player to roll the dice on and it could pay off huge in the long run. Be sure to check back every Tuesday for more waiver wire picks. As always, feel free to follow us on Twitter as well: @_knuckleheads and @brendancole16.